All from the comfort of Happy Ours Happy Yours. Relax on the decks in the morning or have lunch on the screened porch, all while enjoying breathtaking views of the Atlantic Ocean. Three master bedrooms on the top floor, including the Admiral Suite, each offer deck access from which to take in views of the sunset over the Currituck Sound. The mid-level features a stunning bar overlooking the ocean. 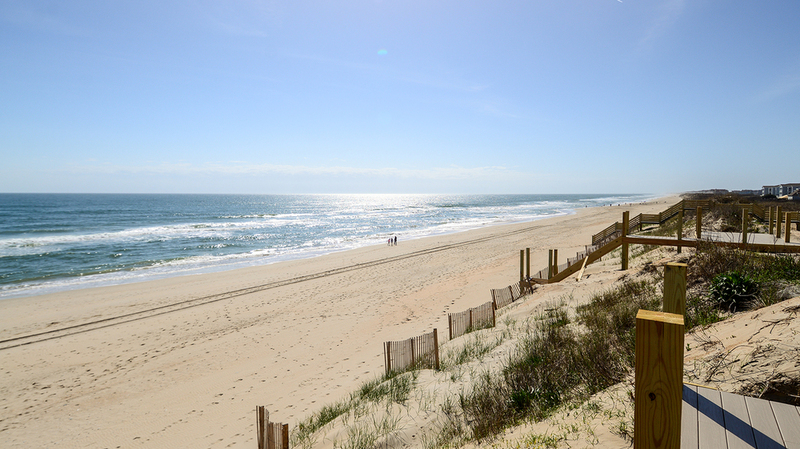 The private walkway offers the convenience of easy beach access just a few steps away.